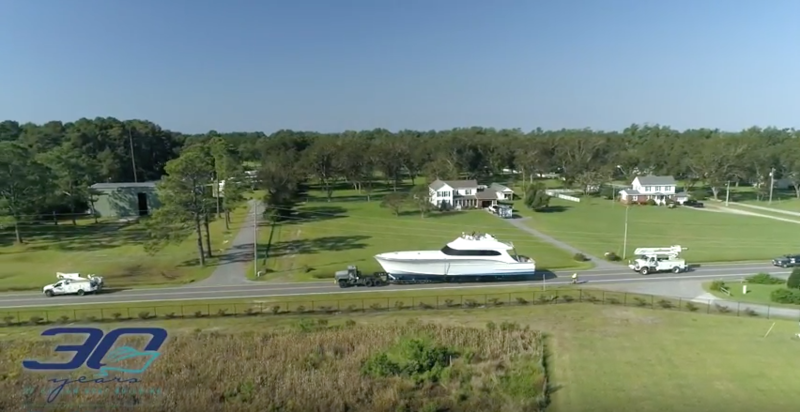 Launch day was an exciting day for the proud owner and all of the Paul Mann Custom Boats team as the phenomenal 77-foot Paul Mann custom built FULL TIME made her way to the launch site! She had an incredibly smooth launch. FULL TIME is a four-stateroom beauty featuring three full heads with a day head also, plus custom matched teak woodwork throughout. What’s more, FULL TIME does not spare the latest in diesel technology. She’s equipped with state-of-the-art 16-cylinder Tier 3 MTU Series 2000 M96 engines. These brawny built-for-long-distance power plants not only generate up to 2600 HP per engine but offer a very favorable power-to-weight ratio. Launch day performance numbers were simply phenomenal!